Recoge más de 100 piezas. Entre ellas hay 35 obras del pintor francés y otras muestras de arte árabe, que tanto le influyó tras su paso por España. 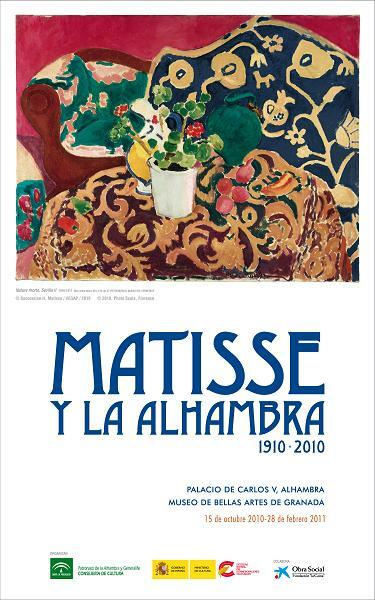 Es la primera vez que se documenta el viaje de Matisse a Granada y el impacto que le causó La Alhambra. No es un texto con las estructuras que trabajamos pero creo que puede servir para que los mayores investiguen y se propongan averiguar el contenido con la ayuda de su "AMIGO" el DICCIONARIO". 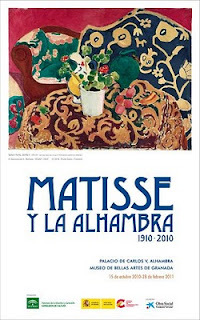 In 1890 Henri Matisse was 21 years old. His parents gave him a paint-box when he was sick and had to spend a whole year lying in bed. He liked drawing so much that he decided he would become an artist. And he developed a completely new modern approach to art. Although he was perfectly able to paint things very realistically he tried to portray everything as simple as possible. At the end of his life he cut colored paper with scissors and stuck the shapes together. His most famous picture is called THE DANCE (1909-10). It is at The State Hermitage Museum, in St. Petersburg.